But C.W.’s case was no joke. Based upon the video evidence, the state arrested P.E. and charged him with felony petit theft. 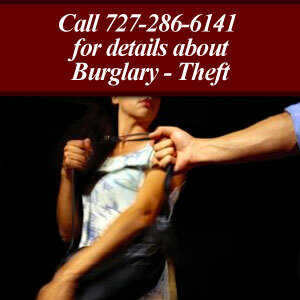 In Florida, if you have two or more theft crimes on your record, the state has the option of charging your latest offense as a felony. Those previous crimes can be any degree of petit theft or any degree of grand theft. Under this statutory provision, there is no minimum dollar value that the state must prove to pursue the new crime as a felony. Felony petit theft is a third-degree felony, which carries with it an incarceration sentence of up to five years. C.W. could possibly do five years for a theft of three or four dollars of drugs! C.W., of course, may still be able to avoid such an outcome. He may be able to get the charges reduced, or may be able to plead guilty to a lesser charge as part of a plea agreement. Negotiating the most beneficial plea agreement possible, when there is no reasonable hope of acquittal, can be one of the most important services your defense attorney provides. Your experienced attorney knows the system, knows the state’s attorneys, knows the judges and knows how to get the best deal available. Furthermore, C.W.’s case was an example of the importance of remaining silent until retaining counsel. C.W. admitted to the theft, even taking the police to the trash can where he discarded the laxatives. Even if his intrepid defense attorney was able to persuade the court that, for example, the video evidence was illegally obtained by police and must be suppressed at trial, the state would still be able to rely upon, and admit into evidence, C.W.’s later actions, including his admission. Whenever you or a loved one is facing criminal charges, you need powerful and effective counsel speaking for you. The criminal defense attorneys at Blake & Dorsten, P.A. have been helping accused people for many years as they seek justice. Call us today at (727) 286-6141 to schedule your FREE initial consultation and get the information you need.